At last we reached the 8th of March! And so it was time for the first day of Young Ideas for Europe 2011 to take a start. Day 1 at Spyken, Lund, is now over and Day 2 is just about to begin. 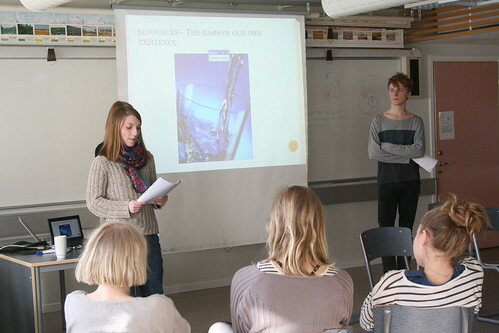 I, Maja, swung by the school after lunch yesterday to take some photos and check up on the students work. I happened to run into the bunch of brilliant young people just as they were about to start the brainstorming session. When I wasn’t dazzled by the students’ impressive understanding of and familiarity with these topics, I managed to take some photos. Enjoy! And check in the rest of the photos here, on our Flickr set. Hopefully we’ve all got a good night’s sleep and are awake by now, eager for this second day to take off. Today experts will join us in the class room to share their knowledge and give the students feedback on the work so far. It is going to be an exciting day!